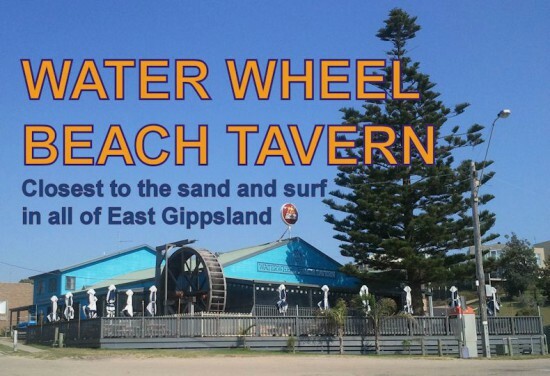 Enjoy a meal at the famous Water Wheel Beach Tavern after a day of adventuring the Gippsland Lakes. The Tavern provides patrons with fresh local seafood’s, meats and produce, chosen to fully enhance the wide ranging menu menu of tasty, tempting dishes. With seven Beers and a Cider on top, complimented by a fine wine list featuring; oversea, interstate and local wines, we have the perfect drink available to tingle your taste buds.